Cosmetics brand Avon launches its first ever global online singing talent search for women, and songwriting competition for women and men. The competition, Avon Voices, will also feature a panel of award-winning judges including six-time Grammy Award winner, Fergie from the Black Eyed Peas and legendary songwriter Diane Warren. To mark the cosmetic company's 125th anniversary, Avon Voices was “designed to inspire and empower women to share their voice, their song and their story." This December, singers can upload videos of themselves for the judges to consider. Another part of the competition will also allow aspiring song writers to compete for top honours. Prizes have not yet been announced, registration for the competition begins on December 1 and more information will be available then. Around 5,000 music fans will descend on New Deer Showground in the heart of the Aberdeenshire countryside for the fourth annual Wizard Festival, which takes place this weekend, Friday 27th & Saturday 28th August 2010. The event, one of Scotland’s fastest-growing music festivals will be held in the open air for the first time this weekend. The main acts will be performing in a huge, half-orbit structure, fully rigged for spectacular light shows. The festival kicks off tomorrow with a line-up which includes former chart-topper Sandi Thom and Manchester legends James. Headlining on Saturday is fellow Mancunian’s The Happy Mondays, supported by Alabama 3, the Complete Stone Roses and The Dykeenies. This year a new comedy stage has been added and the line-up includes Gus Tawse, Scott ‘the dog’ Forbes, Andrew Learmonth and Jason C Murphy, who will all be appearing in the wee wizards arena on Friday and Saturday evening. There will also be the Snafu Soundsystem tent, which will play host to a raft of DJ talent, as well as the Banshee stage, which will feature up-and-coming acts from across the country. NASA is asking the general public to help choose songs to wake up the astronauts during the last two missions of the Space Shuttle Program. Traditionally, the songs played to wake up the astronauts are selected by friends and family of the crews. For the last two scheduled missions, NASA is inviting the public to visit the "Wakeup Song Contest" website to select songs from a list of the top 40 previous wakeup calls or to submit original tunes for consideration. The two songs, from the top 40 list, with the highest number of votes will be played as crew wakeup calls on the final scheduled flight of space shuttle Discovery, which is scheduled to launch on November 1. In addition to the "Wakeup Song Contest", NASA is also offering a once in a lifetime opportunity for up-and-coming musicians to have their music broadcast in space, by submitting original music to their website by January 10, 2011. Original songs must have a space theme and be submitted to NASA by 4 p.m. CST on January 10, 2011. The songs will be reviewed by agency officials and the top entries will be put to a public vote. The top two songs will be used to wake space shuttle Endeavour's crew. Endeavour's mission is the last scheduled space shuttle flight, and is targeted to launch on February 26, 2011. To vote or submit an original song, visit: www.songcontest.nasa. Virgin Media will launch a music download store for mobile and PC this weekend, and they are giving music fans attending V Festival’s a preview of the service. Festival-goers at V Festival's Essex or Staffordshire sites can sign up for a free month's trial by texting a special number that will be promoted on-site. They will receive five free tracks as part of the trial and have the option to continue the service for £4 per month. 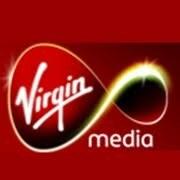 Existing Virgin Media mobile customers will be able to sign up for £3 for five tracks a month. The service has more than one million tracks licensed and is based on a subscribe-to-download model. The Virgin Music Media Store service is powered by IMImobile DaVinci Music and opens fully to the public on September 1 on a month-by-month basis. Aspiro Music has published new research it claims shows that the use of streaming services make people listen to more music luring users away from filesharing sites. The Scandinavian company operates the subscription WiMP service in Norway and Denmark and commissioned Norstat to conduct the research in June this year. The Survey found one in three Norwegians have streamed music, with 68% saying they listen to more music as a result and 72% say they often find music they didn’t know about prior to using a streaming service. The survey also found that the range of music listened to increases, while users discover more artists and bands than they did before. According to the survey there is a striking difference between men and women with 43% of men and only 19% of women have streamed music. Regarding who streams music, there is also a big difference between urban and rural areas, 46% in urban areas and 21% in rural areas have streamed music so far. The survey also concludes that streaming services reduce the extent of illegal music file sharing. Over half of respondents (54%) said that since using streaming music services, they no longer download illegally. “We see these results as strong indications that streaming increases both the total consumption of music, as well as broadening the range of music people listen to. We find that very positive”, concluded Dybvik. This weekend’s V Festival is to be streamed live online for the first time ever in the event’s history. The 2010 V Festival will be broadcast for free on the official site in partnership with Ovi by Nokia. Webcast footage from three of the festival's four stages at its Chelmsford site will be broadcast live. In addition to the live performances, the streaming will also include artist interviews as well as competitions where viewers will get the chance to win themselves one of the many Nokia smartphones up for grabs. Festival-goers can also get the latest weather reports, festival gossip and tweets from artists on the official free V Festival mobile app, as well as download an interactive map of the festival sites in Chelmsford and at Weston Park, Staffordshire. Music fans will also be able to watch sets on V Festival's YouTube channel as well as on the artists' official website while they're playing. The twin-site event will feature headline performances from the likes of Kasabian and Kings of Leon. Also performing this weekend are dance legends The Prodigy, Groove Armada, Faithless and David Guetta. Other big names on the bill include Paul Weller, Stereophonics, Editors, The Coral, The Kooks, Seasick Steve, The Charlatans, Doves, Calvin Harris, Madness, Florence and the Machine and many more. Filesharing site operator LimeWire has requested a jury trial in a case brought against it in the US by major music publishers, BusinessWeek reports. On May 12, U.S. Southern District Court of New York Judge Kimba Wood found that the company and its founder, Mark Gorton, committed mass copyright infringement following a case brought against it by record labels in the US. It was claimed the company had generated over $20m (£12.8m) in ad revenue to date and that 93% of all its traffic was made up of infringing content. Last week, a judge rejected a request from RIAA that the assets of LimeWire and its founder be frozen. LimeWire has stated it is developing plans to launch a new legal unlimited download service. The University of Westminster’s music business network MusicTank has joined forces with former deputy editor of monthly fanzine Sleazenation, Lulu Le Vay, to develop a new innovative music journalism course. Designed by Le Vay and featuring guest speakers such as Hot Chip’s Joe Goddard and Radio 1 DJ and Bestival promoter Rob da Bank the course will look at the entire journalistic process including music journalism. Spanning eight weeks Words Up aims to cover everything from building up contacts to pitching stories and, according to MusicTank “seeks to nurture a new wave of journalism talent” equipping them with a “360-degree view” of music journalism. Words Up also claims it will support a new breed of writer with the drive and talent to steer an anti-churnalism campaign. The government in New Zealand is being urged to impose a complete internet ban for online pirates. The call has been made by the New Zealand Law Society, which believes the proposed three-strike bill is not enough to stem piracy. The body argues that current proposals to suspend suspected infringers under investigation will simply drive them to sign up to another ISP where they can continue illegal uploading and downloading. Clive Elliott of the New Zealand Law Society has been quoted as saying, "The Bill proposes that District Courts be able to order a six month suspension of a person's Internet Services Provider (ISP) account for serious copyright infringement. However, during this period, it appears that there is nothing to stop that person from opening an account with another ISP and immediately continuing illegal file sharing. The Bill should include a power to allow the court to order that a person cannot open an account with another ISP during the period of the suspension." The Magic Numbers first emerged five years ago with their self-titled debut album. A poorly received second album, Those the Brokes, followed a year later. After a four year break the Stodart and Gannon siblings are back with their third album, The Runaway, which continues the darker themes of 2006’s Those the Brokes, while being careful not to lose the tunes. One of the most appealing things about The Magic Numbers is main singer-songwriter, Romeo Stodart’s voice strung with romanticism and an ever present cracked vulnerability. The album begins with gentle opener, The Pulse, a brave lament based around a simple hook, veritably soaked in strings (arranged by the late Robert Kirby, who worked on Nick Drake's Five Leaves Left). It sets the tone of the record perfectly - it reappear’s as an instrumental in a 'hidden track' at the end. Reminiscent of 70s Fleetwood Mac is the gentle Hurt So Good, with the multi-layered harmonies. While Angela Gannon and Michelle Stodart take over vocal duties on the lovelorn, brisk folk of Why Did You Call? Romeo’s vocals are complemented with some lovely vocal interplay with Sister Michelle - as in the gorgeous swooning harmonies of A Start With No Ending. Angela Gannon takes the lead vocal on the elegant Throwing My Heart Away. However, the album doesn’t live up to it’s title ‘The Runaway’ instead it just keeps plodding along with more of the same sun-kissed smooth harmonies, which makes listening to it in it’s entirety somewhat of a chore. 3 Why Did You Call?